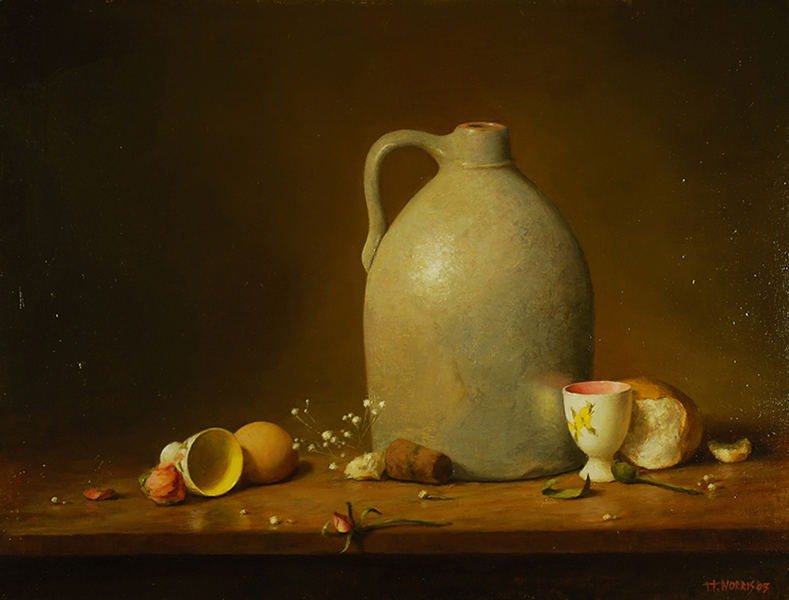 The paintings of Terry Trambauer Norris are executed in oils using the traditional techniques of the old masters, infusing them with a modern sensibility and vision. She has been studying art since childhood, receiving recognition in high school and junior college before entering the Atlanta College of Art, where she studied design, painting, printmaking, and photography, emerging with the degree of Bachelor of Fine Art in 1985. After college, Terry began a dedicated search for a personal language that would express her developing vision. This led her to traditional realism with an emphasis on light and composition. Major influences are Chardin, Rembrandt,Vermeer, Whistler, Robert Henri, and Charles Hawthorne. This was supplemented with workshop study under Gregg Kreutz and David Leffel, as well as critiques and classes with Ralph Bagley, and a month of study at The Art Students' League of New York. 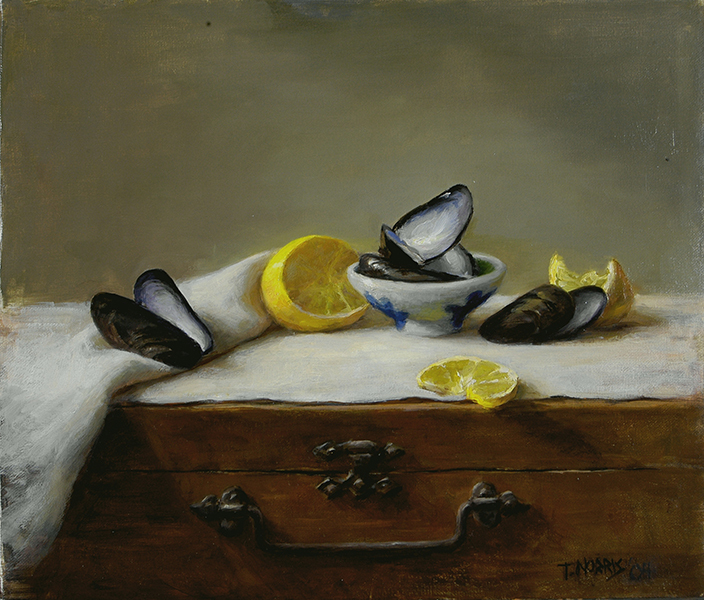 The still life compositions are painted exclusively from life in order to capture mood and light. The atmosphere and physical presence of the subject are essential to the inspiration. Sketches and photography are sometimes used when painting landscape and portrait. Terry’s artwork has been shown in festivals, galleries, and national juried exhibitions, including The Oil Painters of America, Salon International, and The Catherine Lorillard Wolfe Art Club, and has earned numerous awards. She has taught high school and college level art classes and conducted painting workshops and demonstrations. From 2001 to 2010, she taught at Crealdé School of Art in Winter Park, Florida, where she served as Director of Painting and Drawing from 2001 to 2004. Terry received a professional development grant from United Arts of Central Florida in 2004, and in 2006 was awarded an Artist Enhancement Grant from the State of Florida. Terry’s paintings have been selected for an Award of Excellence three years in a row in The Annual Eastern Regional Exhibition of The Oil Painters of America, and she was awarded Signature Membership status in that organization in 2009. After leaving Crealde in 2010, Terry taught briefly at local Art Associations before she and her husband, Arthur, made a long desired move to the upstate area of South Carolina. 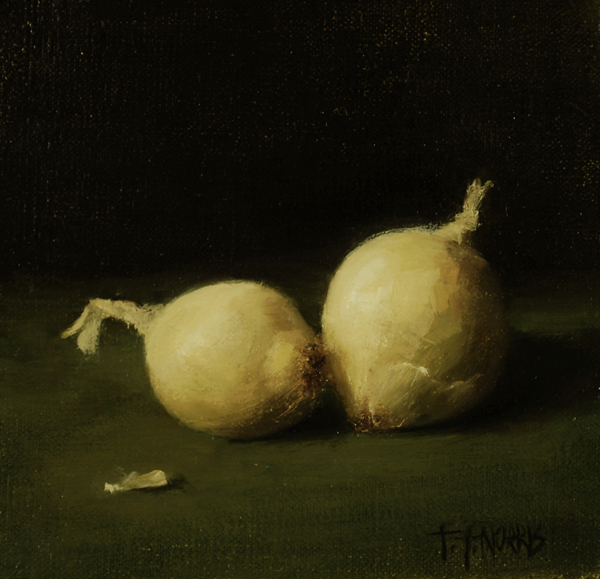 She will continue to teach workshops in still life painting and color basics. 2009 | Regional Exhibition of The National Museum for Women in the Arts | Gateway Center for Arts | Debary, Florida. Dynamic Relationships: Crealdé School of Art’s Mentors and Students | City Hall Terrace and Mayor’s Galleries | Orlando, Florida.